This free family event will feature a variety of games, activities and special guest appearances. 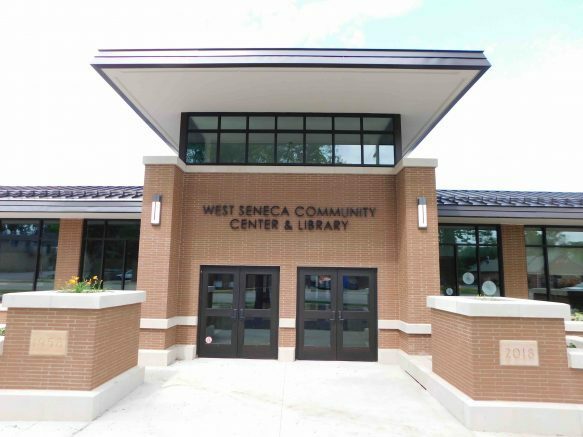 The West Seneca Chamber of Commerce, West Seneca Public Library, West Seneca Recreation Department and Spot Coffee are teaming up to host a fun-filled morning for children and families from 9 a.m. to noon Saturday, April 6 in the West Seneca Community Center & Library, 1300 Union Road. • Special guests from the Justice League of WNY from 9 a.m. to noon. • An appearance by the GEICO Gecko from 9 to 10 a.m., courtesy of the GEICO Southgate Plaza office. • Meet Justine, Danielle and Lauren from the Buffalo Bandettes from 10 to 11 a.m.
• Meet Sabretooth from 10:30 to 11:30 a.m.
• Face-painting courtesy of the Western New York Federal Credit Union. • The Recreation Department will host scooter and potato sack races in the gym, as well as other games. • Library staff will host crafts and other activities. • Look for specials from Spot Coffee. • Meet a uniformed officer from the West Seneca Police Department and volunteer firefighters from Vigilant Fire Company. • Watch a puppet show courtesy of the Firemen’s Memorial Exhibit Center of WNY. • The SPCA Serving Erie County will do a Friends of the Farm presentation at 11 a.m.
• Challenge our special guests to a friendly competition on our oversized games. • Stop by the Horizon Martial Arts and West Seneca Sun informational tables. For more information about the West Seneca Chamber of Commerce, please visit westseneca.org or follow the organization on Facebook. Be the first to comment on "Fun-filled Saturday morning for kids and families to take place in West Seneca Community Center & Library"